Today is National Doctor’s Day. Who knew? In 1990, President George H.W. Bush signed the law designating March 30th national Doctor’s Day. 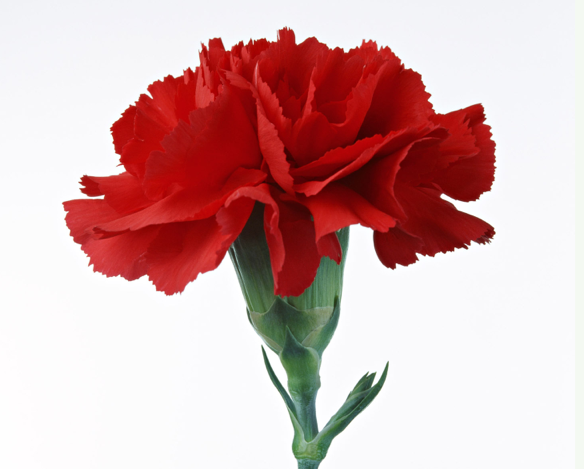 Historically, the appropriate gift for a doctor was a red carnation. Ironically, the red carnation is a Spanish emblem of despair. Despair…the emotion that many physicians feel about their work today. Recent changes in healthcare impose a burden of meaningless work on physicians in the form of data entry, following irrelevant statistics on patients, and insurance requirements that ignore medical knowledge and standard of care. Medical groups require physicians to see more patients in shorter visits. Medicare is poised to reduce reimbursement. Doctors are leaving medical school with higher debt, working harder and earning less money. It’s easy to see why there is despair. It’s also possible to envision a future with engaged physicians who feel inspired, fulfilled and rewarded by their work. Most physicians choose the long road of training to a demanding career because they want to “help people.” While we don’t have the luxurious, long visits of the past with our patients, we do have an opportunity to make a difference in the life of each person we see. We can treat them with kindness, hear their concerns, help them understand their condition and provide a path to feeling better. When overwhelmed by the long list of complaints patients hand us, we can be honest and let them know what they can expect from each visit, and from us. Our patients need to realize that we are ALL living through a transition. We should stress our commitment to quality and doing the best for each patient. If it requires several visits to investigate every issue, that is reality. Let’s allow our patients to feel some of our frustration and perhaps vocalize these feelings to insurance companies and medical group administration. In order to truly “help people,” we need to give ourselves the time to evaluate and treat our patients’ conditions in effective ways. By standing up for what we need to do our jobs well, we can leave work each day knowing we are fulfilling our core mission. Another attraction of medicine is the intellectual stimulation, which is often lost in navigating the logistics of today’s healthcare system. During medical school I visited an uncle who had been a general internist for 20 years. I still remember the excitement he expressed about the interesting medical conditions of the patients he had seen that week. In today’s healthcare environment, our discussions focus mostly on governmental regulations, meaningful use requirements, or the horrors of ICD-10. How might our perspective change if we initiated a monthly lunchtime meeting with our colleagues in which we each shared one interesting case or finding? Each day, we see fascinating things while treating patients – knowing that we need to present one would help us notice and appreciate them when they occur. Doctor’s Day is an opportunity for patients to appreciate their doctors. In what ways do your patients acknowledge your contributions to their lives? With gifts? Referrals? Thank you’s? Each time a patient presents you with a symbol of their gratitude, take a moment to feel the importance of your work. We all deserve to experience the fulfillment of making a difference in the lives of so many people. Although no one can argue that we are in a difficult transition, we can adapt to our changing times and keep working toward a system in which we are given the time and resources to care for our patients in the best way we know how. And even during this period, let’s recognize that we work in a stimulating field that allows us to help people in important ways and make a profound difference in their lives. That’s something to feel very happy about – on Doctor’s Day and every day. This entry was posted in building relationship with patients, Doctor Coach, honesty in medical care, mindfulness, physician burnout, physician coach, physician coaching, physician communication, physician fulfillment and tagged Building relationship with patients, communication in healthcare, medical career, physician coach, Physician coaching, Physician fulfillment. Bookmark the permalink. This is really good. I am happy to read it. I especially like the paragraphs that give doctors suggestions on what they can do to experience the meaning of their work, and also how they can advocate. It will be a really powerful day when physicians advocate for time with patients (or advocate loudly enough that it makes the news).